This document includes a list of recent previous issues with Kaltura that have since been resolved. To resolve this the user should remove Kaltura related sites from their hosts file. For example stats.kaltura.com, analytics.kaltura.com, cfvod.kaltura.com, and cdnapi.kaltura.com should not be redirected to 0.0.0.0. This issue was identified and resolved on 3/26/19. To resolve this the user should disable ad blocker or privacy extensions and try reloading the browser and Kaltura video. This issue was identified and resolved on 2/12/2019. Interactive Video Quizzes (IVQs) do not display "Your Answer" and "Correct Answer"
This issue was resolved on 9/21/2018. 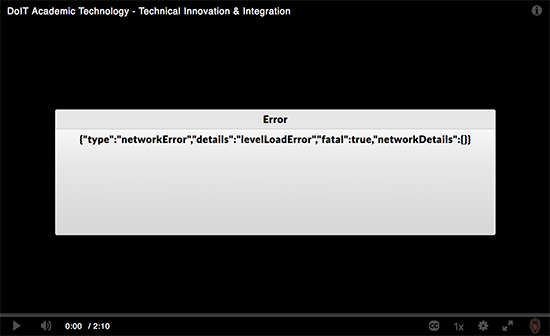 When a viewer interacts with a video quiz in a channel playlist they are greeted with an error message. The error message is: "An error occurred, please refresh your browser and try again. If the error persists please contact your administrator." This message is displayed when the viewer clicks Continue after selecting a response. 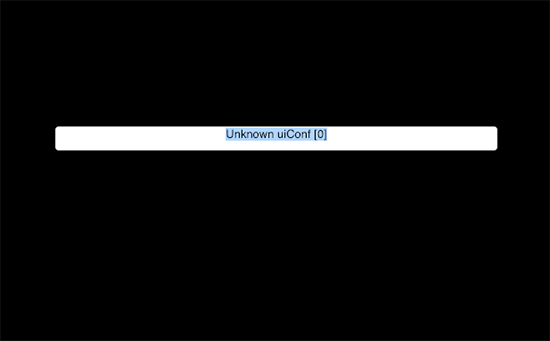 When an instructor uses the "Student View" function in Canvas to view a Page or Quiz with Kaltura media embedded using the Kaltura-->Canvas integration the instructor is presented with the message "Access Denied" or a blank space where the media should be. The Kaltura-Canvas integration refers to inserting media in a Canvas Page using the starburst Kaltura icon ( )in the rich text editor. Even though the instructor can't see the media using the "Student View" function the students will still be able to see the media. This will happens with media that is embedded using the Kaltura-Canvas integration outlined in Canvas - How to Embed Kaltura Media in Canvas (UW-Madison) . This issue was resolved on 08/27/2018.